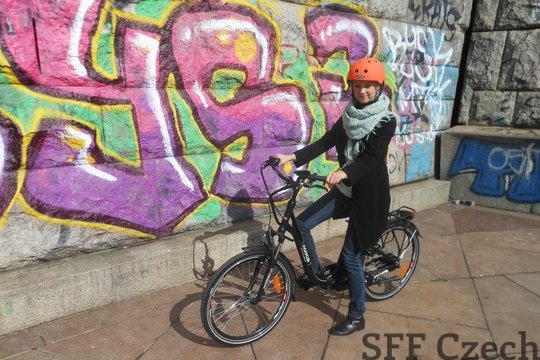 City tour Prague By E-Bike offers daily morning and afternoon tours from office, just 350 meters from the famous Charles Bridge. Here, you will meet your guide, who will provide a brief explanation about how to operate an E-Bike followed by a short training ride through the park. From office, you will ride below the Charles Bridge and through Lesser Town, crossing the bridge to visit the famous Astronomical Clock on the Old Town Square and Jewish Quarter. Your tour will then weave through the charming alleyways of Prague‘s Old Town and follow the cycle path along the banks of the Vltava River. After crossing the Vltava, you will climb pass the Expo 58 Pavilion to Letna Park, a favourite leisure place. Once you have taken photos from Prague‘s best vantage points, your tour will continue upward along the Belvedere Summer Palace to Prague Castle. Your guide will show you the wonders of this national treasure as you walk with your bicycle through the stunning grounds. After leaving Prague Castle you will continue via Petrin Hill, with its spectacular views across the roof tops of Prague and such famous landmarks as the Dancing House and the National Theatre, back to Lesser Town and office, where your tour will conclude. 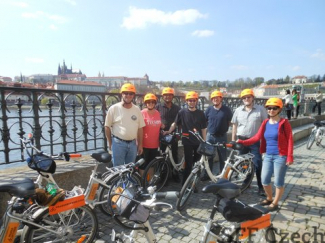 Prague eBike tours are suitable for all ages as our e-Bikes do most of thework, leaving you to enjoy your trip! Prague By E-Bike Tours are a personalized way to discover historic Prague. Tour time is approximately three hours and includes training, a complimentary helmet and soft drink.